Canelo vs Fielding: DAZN App Soars To No. 1 On IOS And Android! 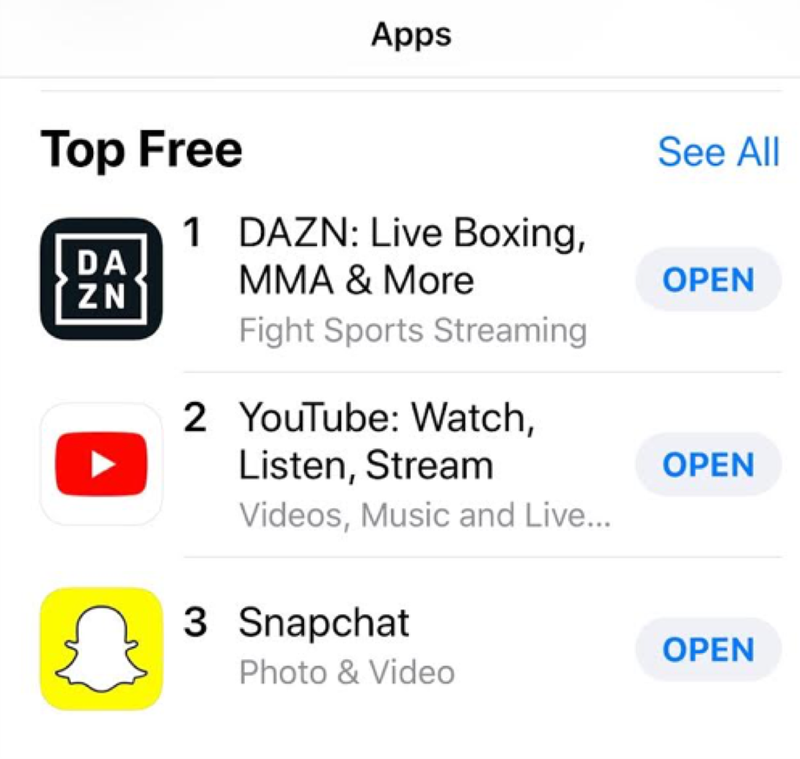 DAZN, the global sports streaming platform, jumped to the top slot across iOS and Android as the No. 1 free app for the first time in the U.S. this past weekend, fueled by Saturday night’s combat sports events Canelo vs. Rocky and Bellator 213. Canelo’s fight on DAZN was also a Top 10 search on Google and a Top 10 trend on Twitter. 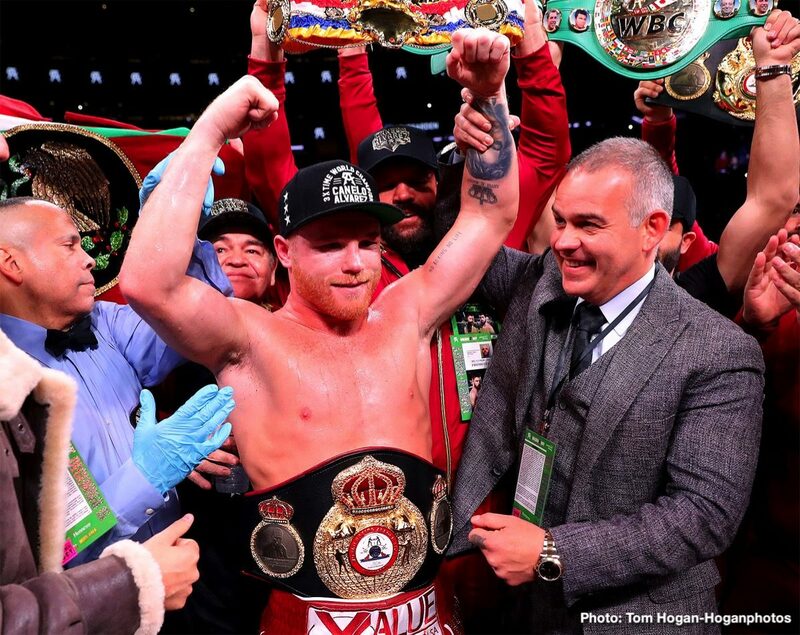 On Saturday, Dec. 15, DAZN exclusively delivered the first of Canelo Alvarez’s eleven fights on the platform, which saw him triumph over Rocky by third-round TKO in a sold-out crowd of 20,112 at Madison Square Garden to join an elite group of three-division Mexican world champions. Following Canelo’s victory, combat sports fans on DAZN also saw Ilima-Lei Macfarlane defeat Valerie Letourneau in the main event of Bellator 213, live from Honolulu. In 2019, DAZN plans to deliver more than 100 fight nights from Golden Boy Promotions, Matchroom Boxing, Bellator MMA, Combate Americas and the World Boxing Super Series, for $9.99 per month following a 30-day free trial, making DAZN an absolute must-have for any fight fan. Additionally, DAZN will broadcast a live MLB show every weeknight that will feature live look-ins to games all around the league. You are here: Home / Boxing News / Canelo vs Fielding: DAZN App Soars To No. 1 On IOS And Android!